I have a very clear memory of me, probably around 18 years old, sat on a train wearing full-on Boots Soltan factor 30 in the middle of winter because I had read that year-round sunscreen was the key to eternal youth. It felt so thick and clogging, and I already suffered from spots – no way was this going to last. My good intentions fell away, largely because I didn't like wearing the stuff on my skin. At 31, it's a lot easier to remain motivated about application because the tell-tale signs of sun damage are already showing in the form of pigmentation. I've been testing Murad Essential-C Day Moisture SPF 30* since the spring and can report that its sophisticated formula has cured my aversion to SPF. 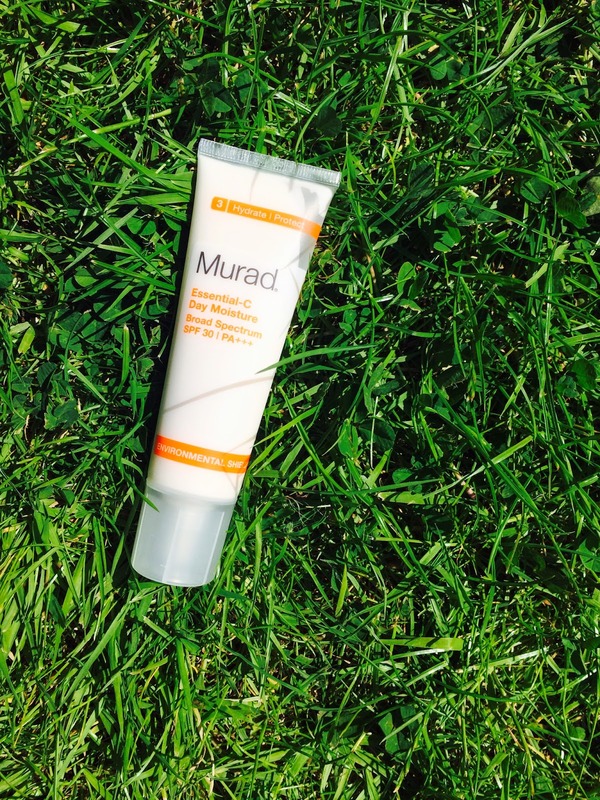 Murad believe that SPF can only ever provide 97 per cent protection against UV rays. Their MuraSol™ Antioxidant Defense technology is intended to close this gap via a blend of encapsulated antioxidants that create a barrier of free radical neutralisers to halt UV damage. Alongside 'next generation' Vitamin C, I found these skin-boosting benefits helped encourage daily application. The light cream sinks in quickly, hydrating skin and leaving no white cast. Although I might look a bit shiny for a few minutes, makeup applies easily (with no bobbling!) and the overall effect is juicy skin = happy Laura. I guess we have the same disease! Aversion to sunsceen! I can't stand that stuff on my face. Glad you've found one that agrees with your skin. Sunscreen is so awful to keep on your face all the time. If face moisturizers didn't come with SPF I would hardly keep the stuff on. Totally! This stuff is great because it's just like wearing moisturiser.